A handful of years before before "Jeopardy" and "The Breakup Song" made them New Wave heroes, The Greg Kihn Band was a talented hard-working group who toured constantly and put out a few fine power pop albums. 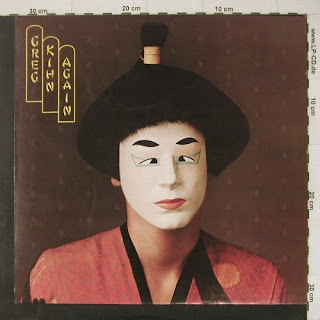 Those early albums had a cult FM radio following, and Kihn was shrewd enough to cover an early Springsteen song for his second album, Greg Kihn Again. Taking a page from the Byrds' re-arrangement of Dylan's "Mr. Tambourine Man" with a straight 4/4 beat, Kihn did the exact same thing with "For You," cutting out a couple of verses, bringing out the jangling guitars and harmonica. Springsteen's original is quite emotional, a plea for his suicidal girlfriend to stay alive. Kihn's version is less drastic, far more straight ahead, almost as if he was telling a story. An album or two later, Springsteen returned Kihn the favor by giving him another excellent certified rocker, "Rendevous," which later appeared on The Boss' Tracks compilation. When Kihn made a stop in the early 80's at My Father's Place in Roslyn, I got a chance to not only see him but interview him as well for the alternative music magazine The Aquarian. Kihn was no exceptional artist, nobody who was going to break sales or even be cited for being a heralded musical influence. He made it clear to me that he was just about making great rock music with a four-piece band, and cited some of his favorites such as The Byrds and Creedence Clearwater Revival. His club gig was exactly as you'd expect for a guy who was on the road perfecting his craft -- catchy songs, guitarist Dave Carpenter doing all the pyrotechnics, crack arrangements, and rowdying up the crowd, feeding off the sheer exhilaration of Kihn loving what he does. I'm still surprised his live shows didn't make him bigger than he was. Here's my homemade video of Kihn's superb cover of "For You," featuring many photos and albums of him and the band through the years.